If you’re arrested for DUI in California, you’ll face some specific consequences if you’re convicted: fines, a suspended license, and possible jail time. Your insurance rates will go up, and you might even lose some friends. Even so, what would be worse for most people is losing a job, but people sometimes do lose their jobs over DUIs. In an uncertain economy (like the U.S. economy in 2014), being out of work for even a few weeks would be disastrous for most people, and nerve-wracking as well. Landing another job can be tougher, too, with a recent DWI on your record. When you’re convicted of a misdemeanor driving under the influence in California, your costs might reach $2,500. Let’s say you earn $750 a week. If you’re fired over the DUI, and you’re unemployed for 20 weeks, you lose $15,000, or six times your actual legal costs. That’s a stiff price to pay on top of the other troubles a DWI can bring. Obviously, the best advice is that when you anticipate driving, don’t drink. When you do drink, find alternative transportation like a taxi or a non-drinking designated driver. If – despite your best efforts – you end up charged with driving under the influence, speak at once with an experienced California driving under the influence defense attorney. Keeping your job will depend on a number of factors including the nature of the work, your relationship and record with your employer, and your police record, if any. Obviously, if your job requires driving or carrying a firearm, a DUI conviction could equal unemployment. That’s one reason it’s imperative to have a good DWI defense lawyer working for you if you’re facing the charge. An experienced driving under the influence defense attorney may be able to have a driving under the influence charge reduced or entirely dismissed. If your case goes to trial, the prosecution’s witnesses and evidence can be challenged and often discredited; an arrest does not mean a conviction. Good DUI defense attorneys win cases in California every day. 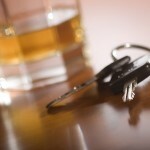 If you’re arrested for DWI, protect yourself and your career; speak right away to an experienced DWI defense attorney.